High-quality photo prints aren’t just for museums and galleries. Here’s how your photograph prints can look like an exhibition – at home. You probably spend a lot of time taking photos – and then forget about them as they sit on your laptop, only to be seen again when you’re freeing up space for an update. What a waste! 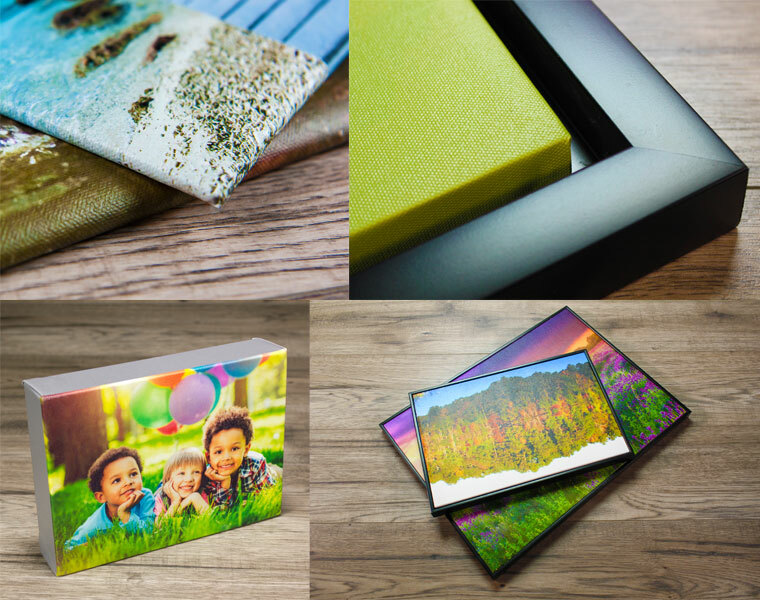 Wouldn’t it be great to print out your photos, and turn your home into a beautiful gallery? Here’s how you can make sure your prints look like art when they’re on your wall. What kind of story is your photo telling? Consider the message and feeling of you photo, and then pick a mount that helps tell that story. An unframed, skinny canvas is good for elegance, for example, while a framed floating canvas is good for bold colours, and photos that are more light-hearted. An opulent frame can do wonders for big photographs in large spaces. Before you start printing, have an idea of what photo you want to put where. Consider the size of the space, and the size of the photo. And always turn off compression options on your camera, which will make the photos smaller. High-res images can be printed out larger, but smaller photos, or photos from some phones, will sometimes need to be printed smaller. We suggest an Instablock. Spend some time editing your photos before you print them, especially making sure they are sharp and focused. Also, work to brighten and heighten the contrast, which will look better when hung up. This will make a huge difference when they are printed. Try to see the photos on a calibrated monitor first, to make sure there are no surprises once printed. Consider whether your image might look better if it was cropped in a certain way. You could crop out one special feature, and print it on a smaller canvas or poster, to get a more artistic feel out of the photo. When your images are hung up, ensure you adjust the lighting so that each image gets its own little spotlight – just like in a gallery.